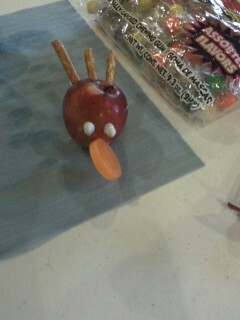 These are our after-school kids Edible apple turkey crafts for snack. 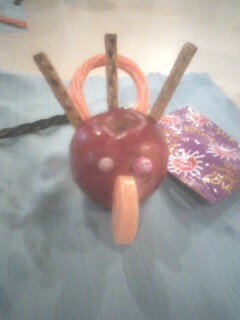 The After-school Kid's Apple Turkey Trials and links to other Edible Turkey Crafts and Snacks. 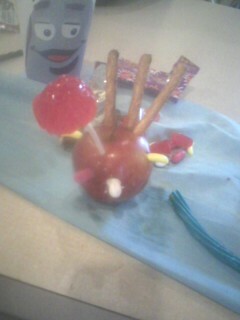 Bon Appetit Creative Apple Crafts for kids snack from the archives. Fun way to play with your food. 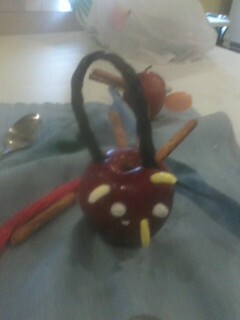 To insert candy and pretzels poke holes with the small end of a spoon or skewer first.